What is the best weight loss breakfast? Does your breakfast look more like dessert?! Have you ever actually figured out how much sugar you're eating at breakfast? 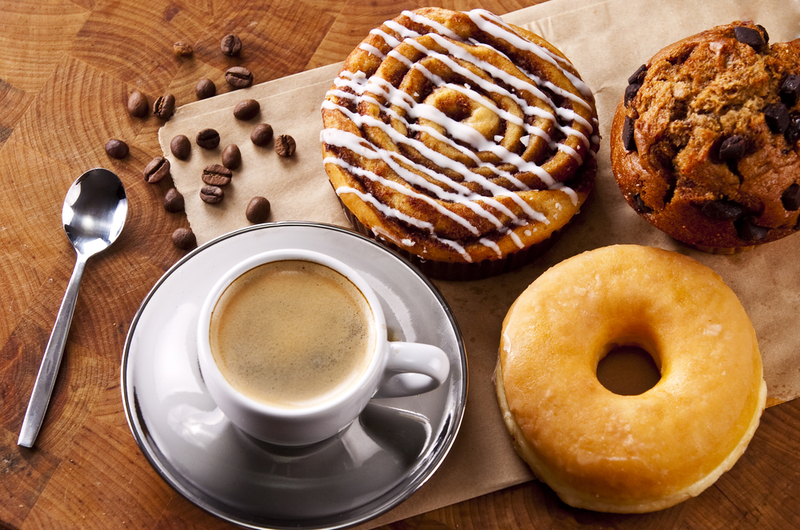 Are you spiking yourself up with coffee and sugar only to crash an hour or 2 later, reaching for another coffee, muffin or danish? 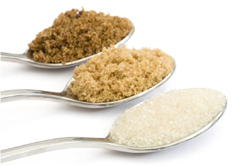 With this formula you can easily figure out exactly how much sugar you're ingesting. If you're grabbing what you think is a "healthy" muffin from Starbucks or another fast food joint, think again! Starbucks Bountiful Blueberry Muffin contains 29 grams of sugar! So almost 6 teaspoons of sugar, 12 grams of fat, including 6 grams of saturated fat. Check the sugar content of your fast food snack, online. Most sliced breads contain added sugar and that might be topped with jam or Nutella. 2 Tablespoons of Nutella contains 21 grams of sugar, not to mention the palm oil, etc. And of course, breakfast cereals are generally very high in sugar as well. Fruit flavored yogurts often contain about 26 grams of sugar, check yours! Read the label. Most of my clients are surprised when they find out how much sugar is in their yogurt! The tragic thing is, this is the way many children start their day! Followed by a snack at recess like Quaker Chewy Dipps Chocolate Chip Granola Bar containing 13 grams of sugar, or Nature Valley Granola Bar with 11 grams of sugar. Of course, the best weight loss breakfast for you, depends on your body type ! 1. A smoothie can be fast and easy if you're rushed to get out the door. Using some fruits, an unsweetened milk alternative like almond milk, etc (It should say unsweetened on the package!) Add in some protein powder. (check the sweeteners!) Nature's Sunshine has some great protein powders, (email me for more details) if you need the extra protein or for kids. Adding in some greens like kale or spinach is even better, flooding your body with antioxidants, vitamins and minerals. 2. Nature's Path makes some low sugar cereals that are better than most. Kamut Krisp contains 5 grams of sugar. Add some berries on top. 3. A slice of Kamut or Spelt sourdough bread, toasted, is often sugar free, with a little Raw almond butter, or a little low fat cheese, ideally unpasteurized cheese if you can get it. Nuts To You and Maranatha make raw almond butter. In Montreal, Inewa makes a great sourdough kamut bread, and Ancetre makes low fat unpasteurized cheese. 4. 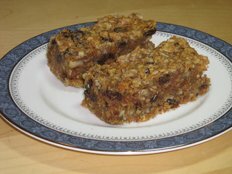 Old fashioned oats with berries, or with bananas and walnuts, or apples and cinnamon, etc. Soak overnight and cook in a double boiler in the morning while you get ready, super easy! 5. 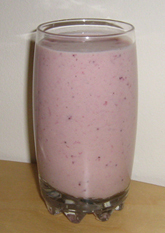 Plain yogurt with fruit, if you need a sweetener try stevia or a little maple syrup. 6. A soft boiled or poached egg. When the yolk is runny, it has a negligible effect on cholesterol. Eggs are perfect for kids, with 6 grams of protein. 7. Some of my Gonad types or Pear Body Types do well with just a fruit for breakfast. 8. Home made muffins, with very little sugar, Best Ever Banana muffin Recipe. As you can see there are many quick and easy alternatives for a healthy, low sugar breakfast! Start off the right way and feel better and more balanced all day.